HOPE EVERYONE HAS A BLESSED AND HAPPY THANKSGIVING. SAFE TRAVELS TO THOSE ON THE ROAD IN A FEW WEEKS. CHRISTMAS IS JUST AROUND THE CORNER. JOIN US AT OUR 4th ANTIQUE/VINTAGE CHRISTMAS SHOW/SALE DECEMBER 2-3, 2016. WE WILL OPEN AT 9AM AND STAY AS LONG AS WE HAVE SHOPPERS. LOTS OF CHRISTMAS DECORATIONS OLD & NEW AND GREAT ANTIQUE & VINTAGE FINDS FOR THAT SPECIAL COLLECTOR OR JUNKER. HAPPY FALL YA'LL !!! Fall begins Sept. 22, so I'm a week early. Always better to be early than late, which I usually am. I must be excited. Our Fall Sale/Show invites have arrived, along with a lot of NEW TREASURES. 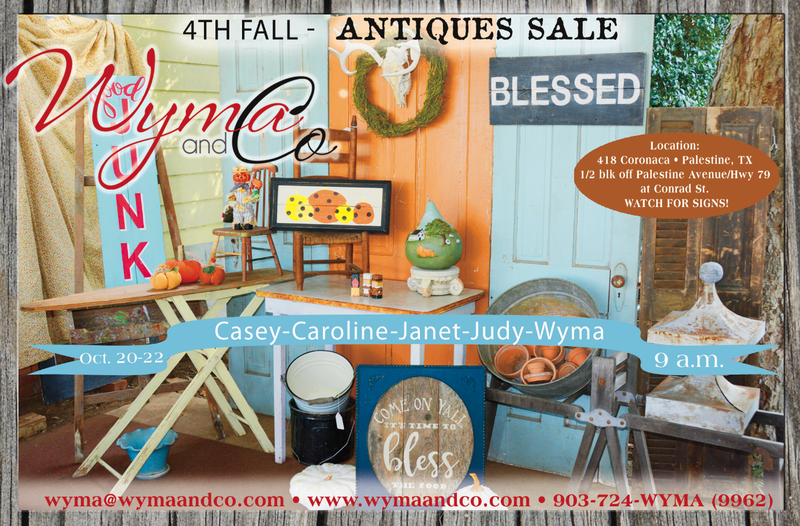 Looking forward to seeing all our faithful, long time customers October 20-22, 2016. 9 AM. Bring a friend and pass the word. You are welcome to SHARE this message!!! With Facebook so readily available, I sometimes forget to post here. During the summer we removed the old brown siding and the 1907 Shiplap (much to my disagreeing) and replaced with Hardy Boards. I heard all the pros of the new siding, but I still wanted to leave the old. Nevertheless, we are about to start painting the 1907 Lady. The color has yet to be determined, so come see us October 20-22, 2016 and admire her new look.